1 Each cartridge will last for 6 months. 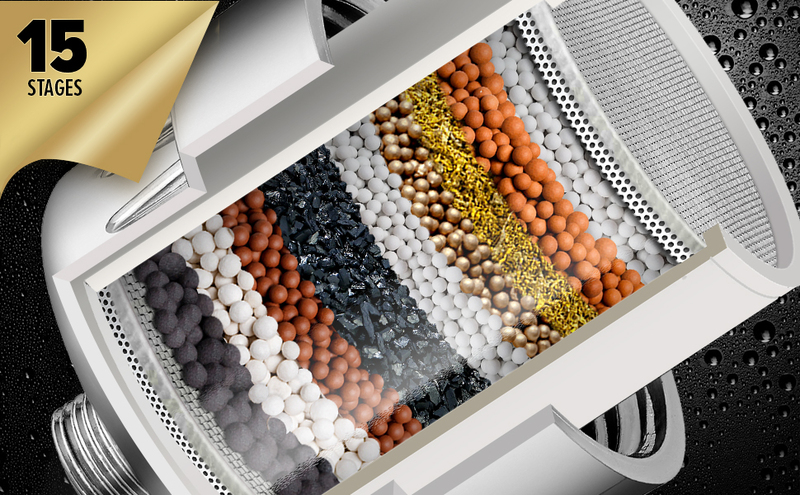 If your water is very dirty, then the filter will need to be changed more often. 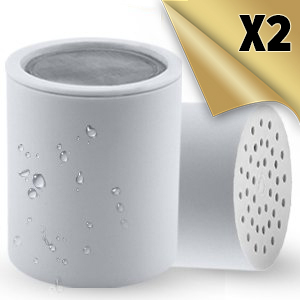 2 Please let water run through the filter for 5-10 minutes before use to remove any carbon dust build up. 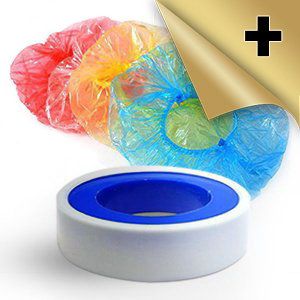 3 Because of cleaner, more pure water, the filter is an ideal option for bathing children and pets. 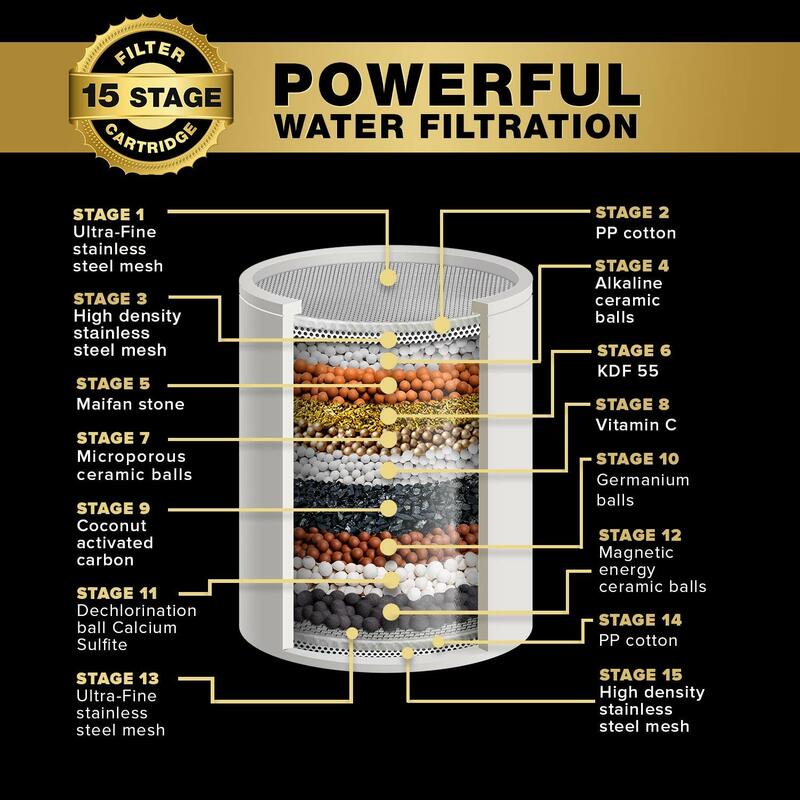 4 The filter is great for well water since it removes excess heavy metals. 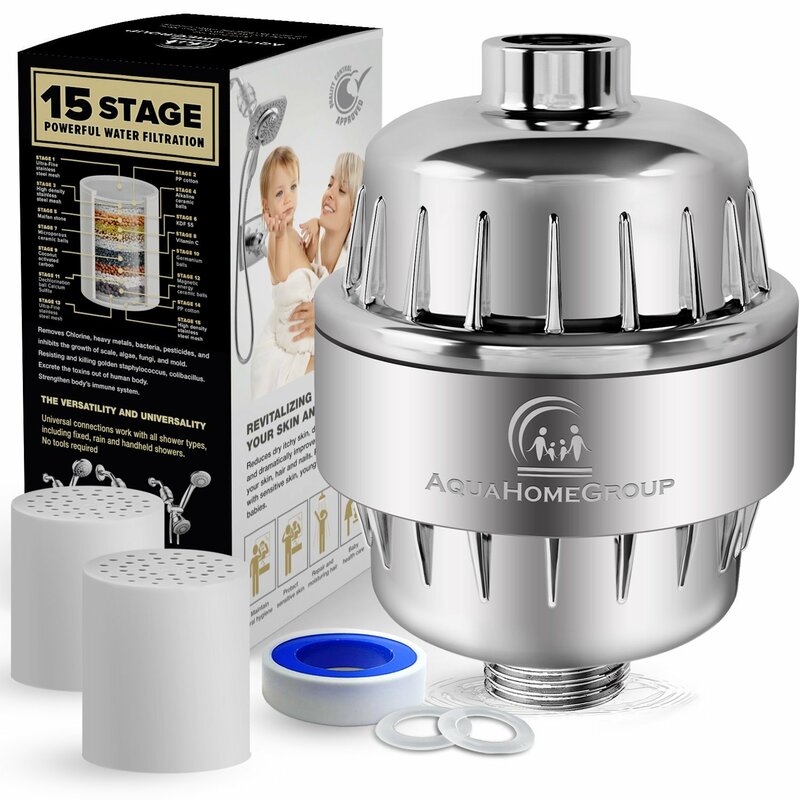 5 This filter is also a good choice for those who don't need a whole house water filtration system but still want to have the shower water filtered. 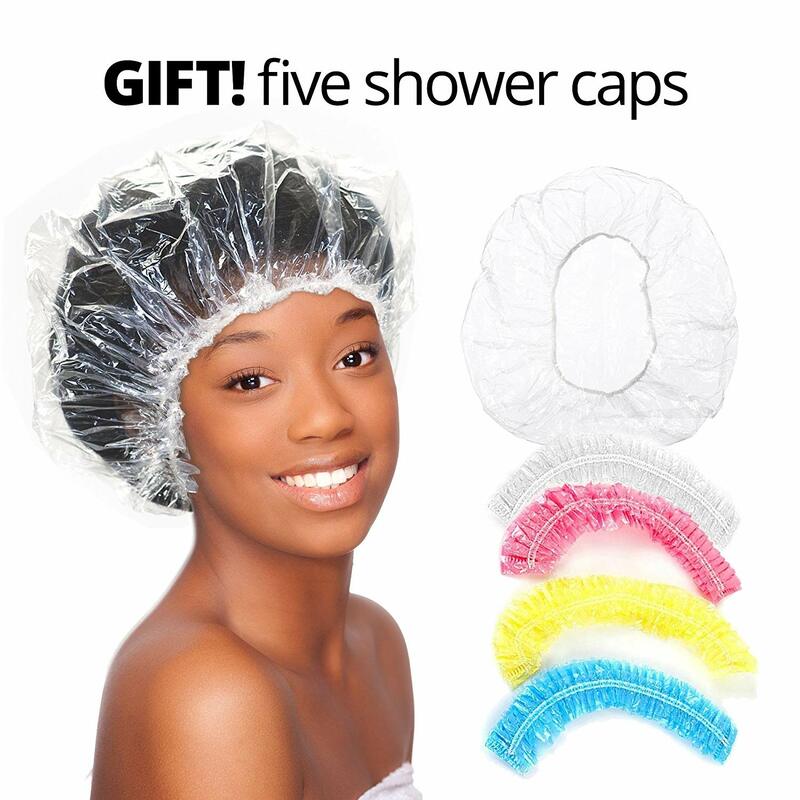 A few pleasant additions: 5 shower cap and teflon tape. The water here is very hard and I usually see the calcium build up pretty quickly. It has been one month so far and no calcium build. The water even taste better haha Great product! Thank you! I bought this for our shower to reduce the amount of build up on the glass shower doors and so far it seems to be doing its job! It was easy to install and although it looks a little clunky, it's cheaper than a a whole-house water softener. Works just how I thought it would. I’m in love with it!! Thank You!! 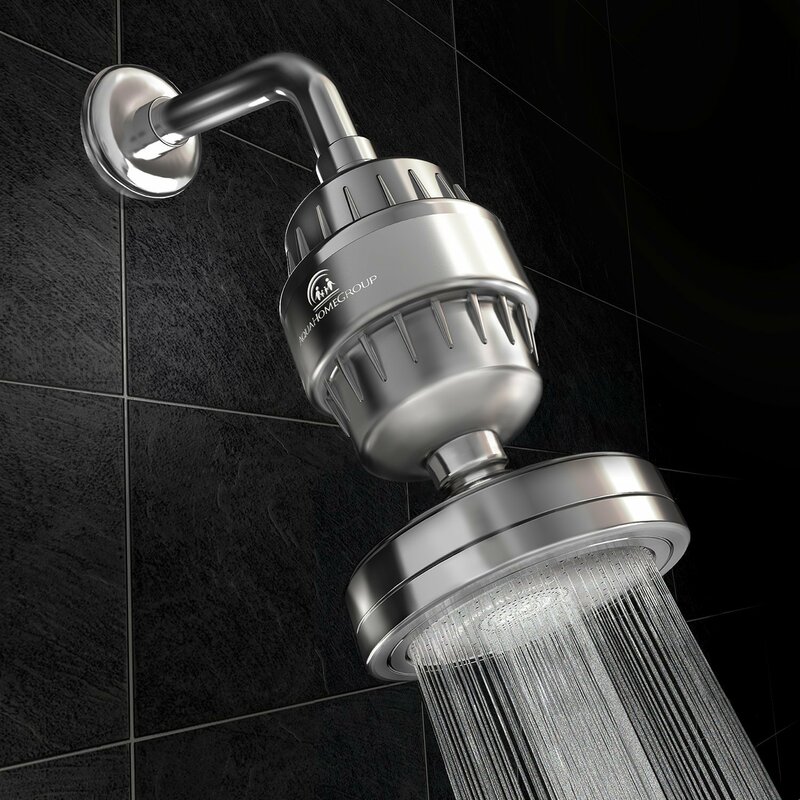 I've been using this showerhead filter for a little over a week now and I've really enjoyed the feeling of clean water when showering. The water feels softer then without the filter as does my hair. I really like the 15 stages of filtering and the filter lifetime of 6 months. I still have dry skin after showering, but that's what body lotion is for. The big test will be when the snow starts melting a lot and the water department releases extra chlorine into the water supply. In the past when this was done, the water had a very strong smell of chlorine that would even get into the towels when drying off. I'm sure the filter will do its job and keep the chlorine contaminant out. All in all, this has been a great buy! Pretty nice filter, but hard to set up without mans hand... Thanks! 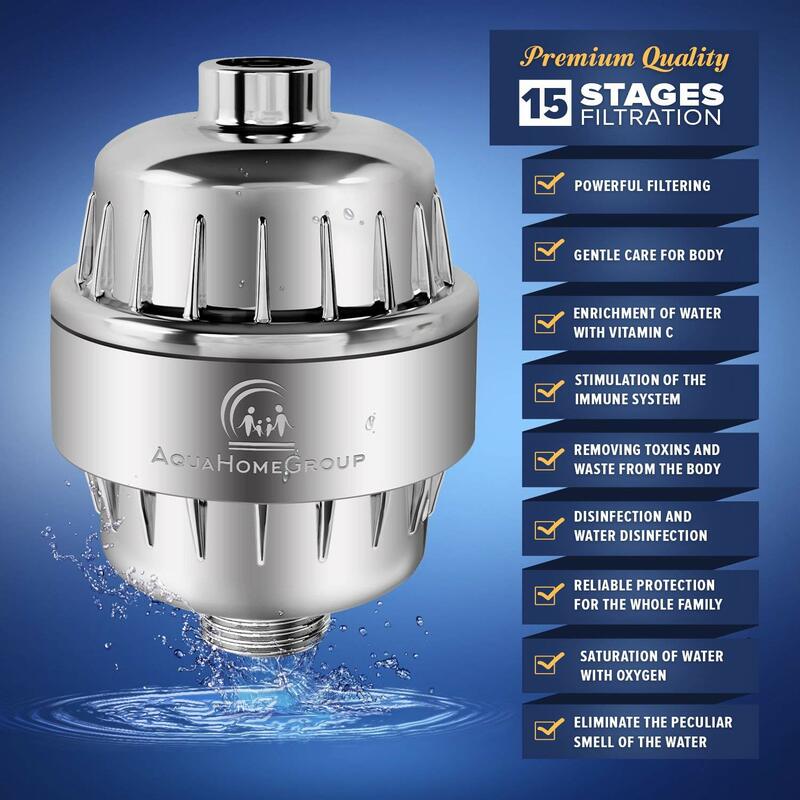 It is good quality built product and come with extra filter as well. 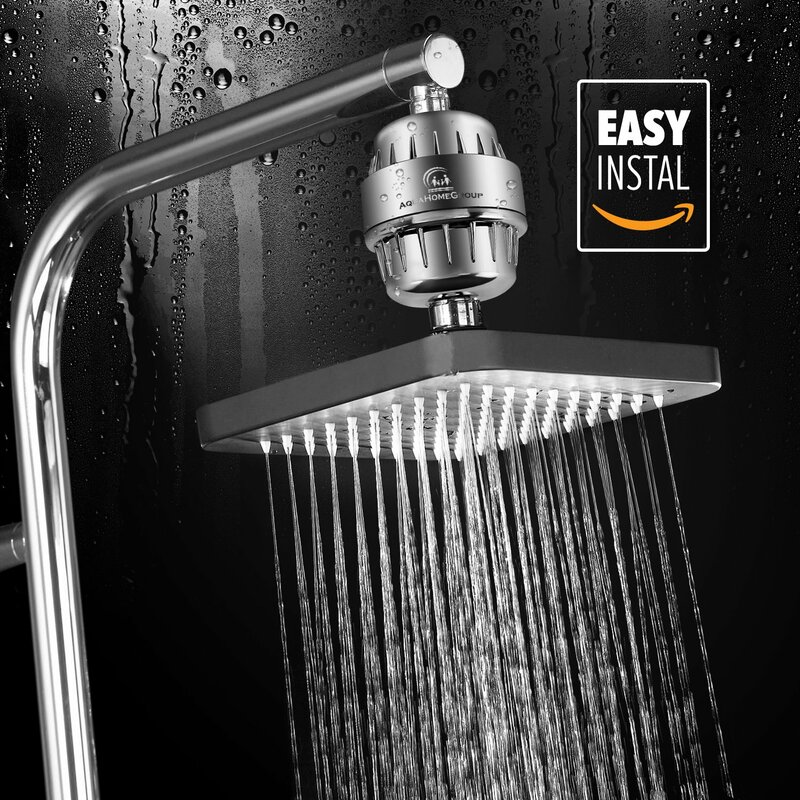 Install was easy and i can definitely feel the different in water quality afterward, would like to put one in my other bathroom soon. This is pretty nice. The first time I used it to wash my 5 year old daughters hair, it made her hair feel soft like I used conditioner even though I hadn't yet. Ours drips a little when it is on, but other than that is nice. 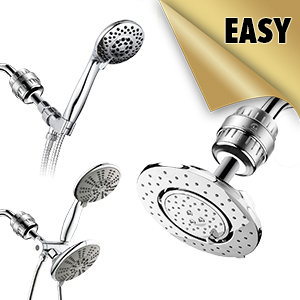 Absolutely love the shower filter..works well and looks good in the shower. Would recommend to anyone wanting better shower water. Its very easy to install. 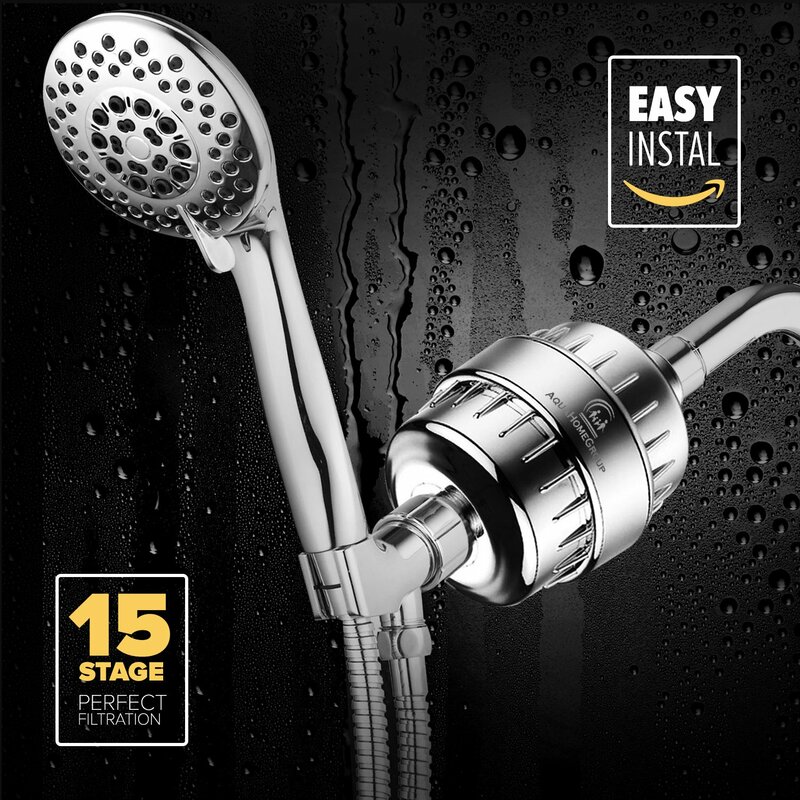 Just bought a handheld shower head which works great with this filter. Im so glad with this. Peace of mind that water for shiwering is clean and chlorine free.